This was done for those just undergoing planned surgery - not the cases that arrived via A&E. Chief investigator Prof Ramani Moonesinghe said it was clear last-minute cancellations were affecting the "health and welfare of tens of thousands of patients every year". "This is not good for patients. We need to find different solutions," she said. Prof Cliff Shearman, of the Royal College of Surgeons, said: "It is important to underline that cancelling and rescheduling an operation is not only stressful for patients, but a complete waste of hospital resources. 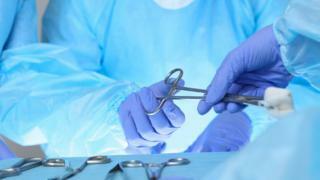 "It is awful for a patient to have their operation cancelled twice." Meanwhile, a spokesperson for the Welsh government said: "It is important to note that not all postponements result in the theatre slot being lost, as more often than not, health boards will have other patients on an agreed stand-by list who can be treated at that time."